← Is reality the quickest way to dampen enthusiasm about 4G? Aurash Alemi, Ali Ashtiani, Chris Bui, Connie Cajavilca, Steven Chan, Bethany Conly, Andrew Eads, Kevin Eskander, Michael Fenlon, Samuel Galle, Armando Gauna, Martin Hofmann, Christopher King, Lacey King, Austen Lefebvre, Idris Leppla, Briana Livingston, Prakash Mathew, Travis Nesbit, Audrey Nguyen, Pina Patel, Bryant Priromprintr, Eddie Ramirez, Areo Saffarzadeh, Nicholas Sawyer, Kalpit Shah, Adam Spjute, Sean Sumsion, Joseph Tesoriero, David Tran, Chase Warren. 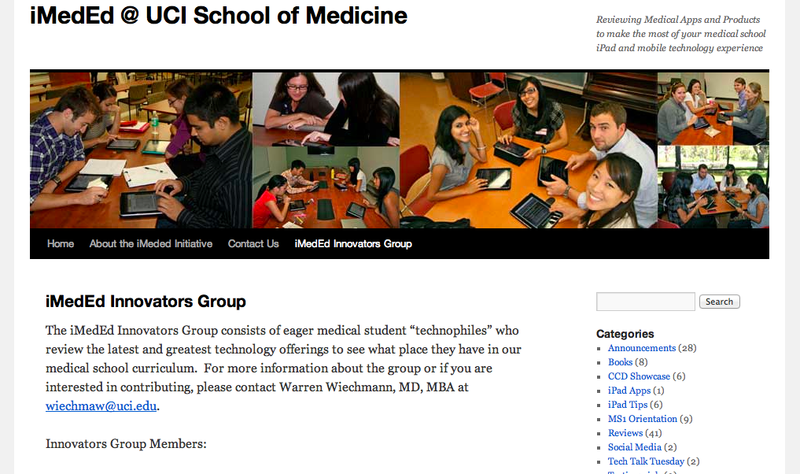 I’ve noted before that I’ve found Medical Students to be far behind their comtemporaries in awareness/adoption of mobile tech (perhaps the academic demands of Medical Schools are self selecting students who are behind the adoption curve and in 2012 we’re still not looking at a class of digital natives) but now we have had Medical Schools doing this for some time the data is emerging and we should now start asking our Medical Schools what they are doing to ensure future Doctors are prepared for a career where they will not be fit to practice unless they have a connected device in their pocket that is loaded with up to date clinical resources, rich multimedia content (to help them explain and share things with their patients) and packing several basic diagnostic sensors. Related: It costs >£250k to train a Doctor so why would you question the value of putting up to date Medical Reference and Text books on their smartphones? Don’t miss: “The Whole World In Their Hands” podcast over at MacHealthcare that profiles the iPad experiences at three Medical Schools in the USA with contributions from Dr Warren Wiechmann MD, Asst. 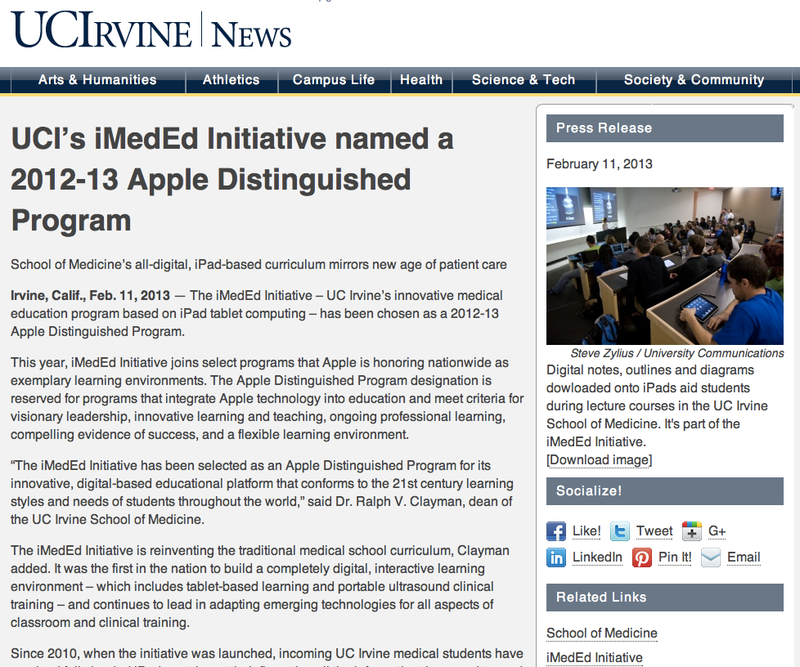 Clinical Professor of Emergency Medicine, UC Irvine School of Medicine, Michael L. Schwartz, Associate Dean for Curriculum, Yale University School of Medicine, and Jason Korenkiewicz, Director Educational Computing, Weill Cornell Medical College.